When I was growing up Frosty the Snowman was a traditional holiday song in my house. Originally recorded by Gene Autry in 1950 it was one of the several holiday records my mom would play while decorating for the holidays. (Yes, we had Bing singing White Christmas and Autry's Rudolf too!) Frosty was written as a follow up to Autry's recording of "Rudolph the Red-Nosed Reindeer", a huge success the previous year. 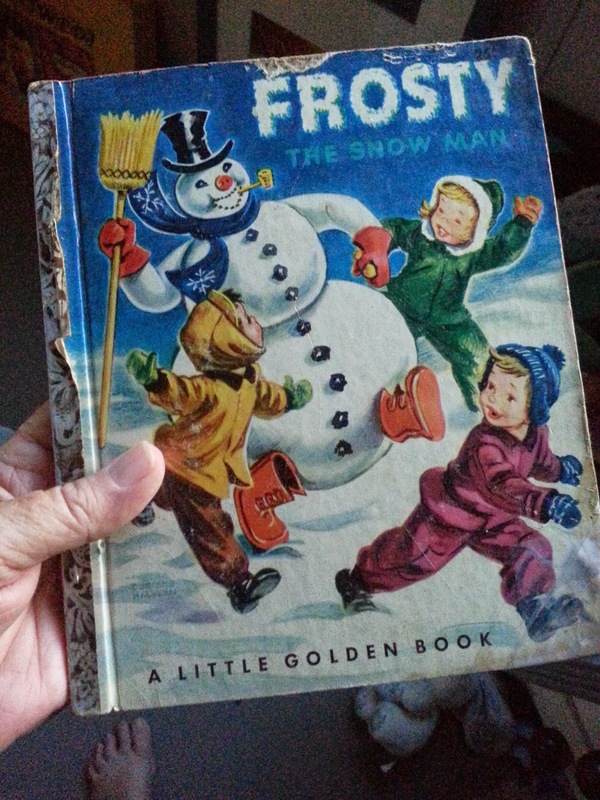 There was also a Little Golden Books edition of Frosty and I had a dearly loved, dog-eared copy that was my favorite bedtime book at Christmas. Though the little book and the 78 record disappeared many decades ago, I recently came upon this copy of the book in a back alley second hand store and joyously took it home as a reminder of those past Christmas memories from many years ago. Dip the rim of your martini glass into some of the Godiva White Chocolate Liqueur and then into the white cake sprinkles. Chill your glass in the freezer. Pour the vanilla vodka, the cranberry vodka, the Godiva liqueur and the half & half into your cocktail shaker with ice and shake until nice and Frosty (wink). 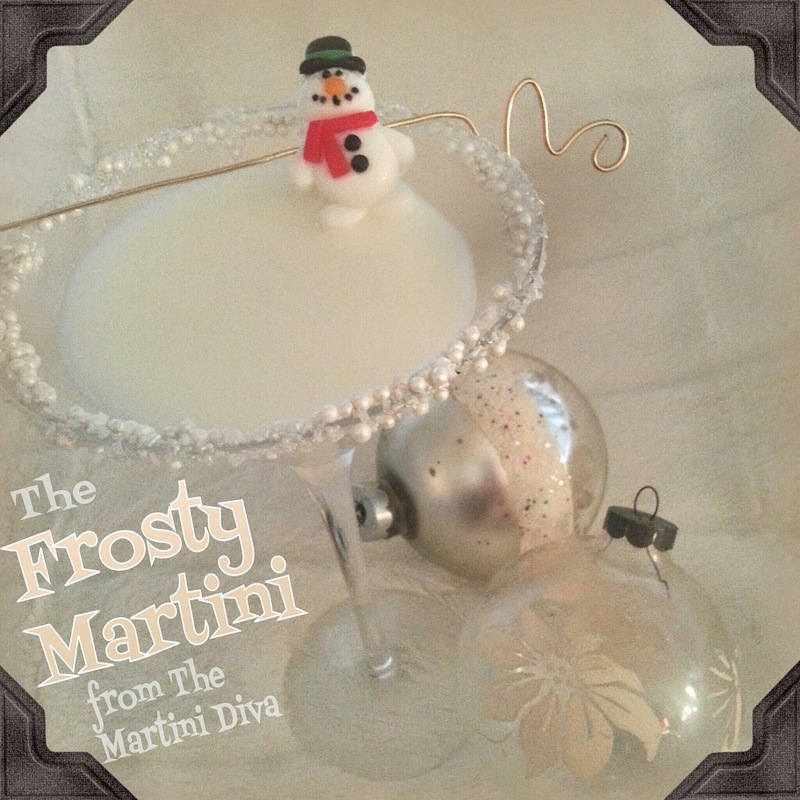 Garnish with your snowman gummy candy, go to YouTube and listen to Gene Autry sing Frosty The Snowman and enjoy! P.S. Those two Christmas tree ornaments in the photo are also cherished holiday memories of mine, both having been on every tree my mother decorated until she passed away in 1991. Though I have never been able to bring myself to decorate a live tree since, those two Christmas ornaments always have the spot of honor in my holiday decor.